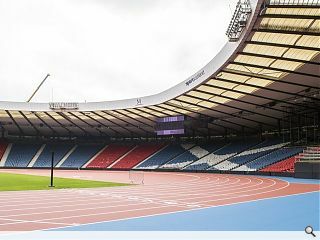 Glasgow 2014 has today showcased a new athletics arena built within Hampden Park as part of preparations for this summer’s Commonwealth Games. 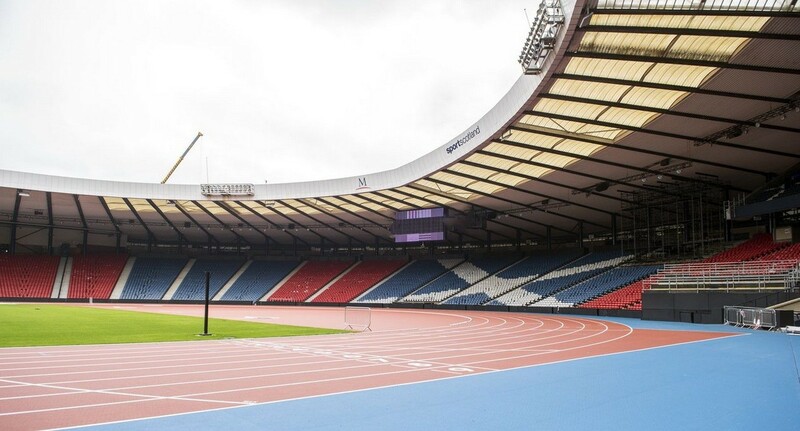 Novel engineering was required on the part of Malcolm Construction to raise the track bed by 2m to accommodate the necessary width and length stipulated by the IAAF for athletics events, necessitating the installation of over 6,000 structural steel stilts and 1,000 base panels. This further entailed the removal of eight rows of seating to accommodate the expanded playing area but with the benefit of bringing front tow spectators closer to the action. The arena opens in anger on 23 July when it will welcome the first athletes and 40,000 spectators.